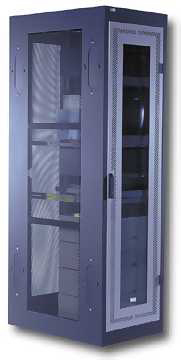 Our Colocation Services let your business focus on what it does best. Running your own dedicated lines and creating fault-tolerance can be costly. In addition to up-front capital expenses, the cost of on-going maintenance and upgrades could prevent your company from focusing on its core competencies. With our co-location services, you don't have to re-invent the wheel. Our new facility and state-of-the-art equipment have been designed to provide your company the ultimate in performance, reliability, and security. Guaranteed 100% uptime SLA. Keeping your data safe, secure, and accessible this is what we do best.